Leigh is soon turning 30 and unhappy with the direction her life seems to be taking. She wants to make some positive changes, so returns to her small home town to live with her parents – what she calls “getting back to basics”. She starts work as a lifeguard (her high school job!) and catches up with old friends. Unfortunately, she enters into a very inappropriate relationship, jeopardising her friendships, and doing nothing to help get her life together. In fact, under Leigh’s influence, they all start to lose direction. 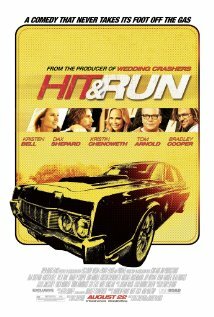 There are quite a few films around where the protagonist returns home to live with the parents when things go wrong: see Bridesmaids, Girl Most Likely (Imogene), Silver Linings Playbook, Cake, Hello I Must Be Going, (and the classic…) Failure to Launch. It’s being 30 and discovering that life didn’t go according to plan, and The Lifeguard definitely fits into this list. This film is not at all what I expected. In fact, it’s no rom com, coming under the banner of romantic drama. It is pretty sexually graphic, but it’s also very raw and there are no attempts to pretty things up. I very much like the camera work. The film gets a bit bogged down about three-quarters of the way through. But apart from that, Bell and Gummer give great performances. All in all this movie isn’t too bad – it’s thoughtful, definitely watchable, albeit a bit depressing. This guy who is about to get married, travels around the country to track down some old girlfriends. The women he’s chosen are the ones that he believes he has hurt in some way. Is it some sort of therapy before his wedding, or is he just running away from his current relationship? 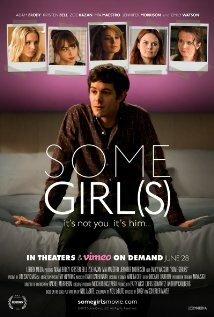 Adam Brody plays ‘the man’. His character is deplorable. He meets his ex-girlfriends in hotel rooms, obviously expecting seduction. He is an incredibly self-indulgent character that leaves little room for anyone else to shine. I think this is a terrible film. It’s based on a play, but I don’t think it does well on the screen. There is no comedy to speak of. Comedy? The female actors are all great, and do what they can with the script, but ultimately I couldn’t get past what a douche-bag this guy is. Hated it, hardly a rom com at all. Bell plays the role of Marni, a successful PR executive. In high school, Marni was a pimply-faced, glasses and braces wearing girl with low self-esteem. She was heavily bullied, particularly by head girl, Joanna. When she returns home for her brother’s wedding, she discovers that he is marrying Joanna, her past bully, her arch nemesis. Joanna has grown up to be a good girl and loved by all of Marni’s family. As her brother knew nothing about her bad girl past, Marni sets out to expose Joanna as a fraud. This is a similar theme to 27 dresses with Katherine Heigl where she exposes her sister as a fraud to her future husband. In fact, generally this is a very common modern rom com theme – the imminent wedding where something goes wrong (either before the wedding or during the ceremony). Weaver and Curtis play Joanna’s Aunt and Marni’s mother who went to school together and also have their issues from the past. It is a pleasure to see those two together on the screen. I found the film started out okay but kind of went downhill. It’s not a bad choice for holiday viewing, Bell is lovely, it makes you remember your own high school issues, but overall it didn’t have enough appeal or comedy. Art Curator, Beth, is too busy working to have a successful relationship. When her sister, Joan, announces her whirlwind wedding in Rome, Beth has to schedule in a quick trip to Italy. The last thing she expected was to meet anyone special, but she connects with the best man, Nick. When she mistakenly thinks he has a girlfriend, she drunkenly steals four coins from the fountain of love outside the church. This ensures that when she returns to New York, Beth is relentlessly pursued by the four men who had thrown the coins in the fountain looking for love. Confusion arises over whether Nick, who is keen to go out with her, is one of the four coin throwers. Is his love real, or is he under the fountain’s spell? Bell and Duhamel are both well seasoned rom com actors and are fairly likeable. But the film is pretty stupid really and not much of a stand out in the list of romantic comedies. It’s inoffensive and light and I suppose is trying to tell us that career women can find love. Kind of annoying, but watchable.